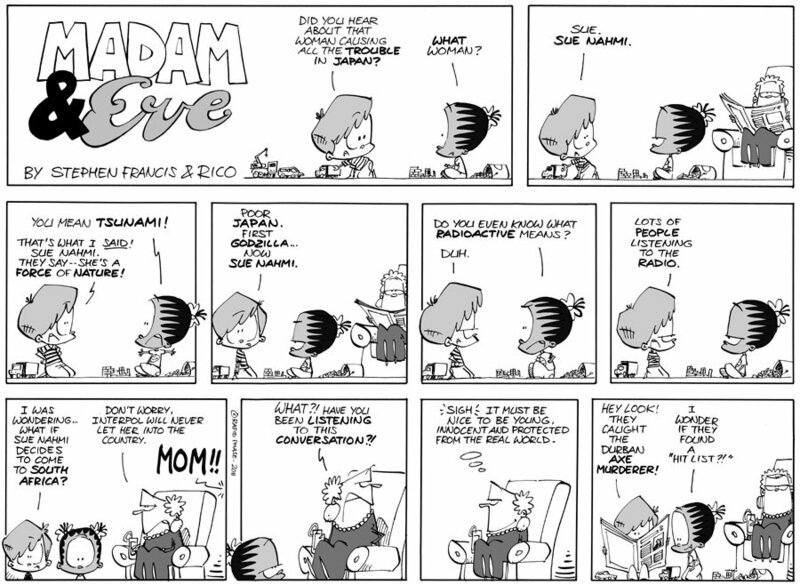 I saw this strip today and suddenly felt a strong warmth in my heart. 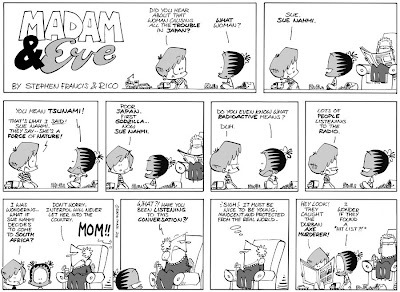 The latest Madam & Eve (South African daily comic) takes a light-hearted view on innocence and how children looks at the world. Especially now, this is something that helped me deal with all the strife around the world. Thank you Stephen and Rico!